Trever Nunn’s beautiful portrayal of a woman finding her place in a man’s world is one for lovers of fine art, as well as an interesting insight into what would have been shocking in its day. It seems every time you step into Jermyn Street Theatre you step back in time. Tonight, we are transported to around 1900. It’s a time when a woman separated from her husband would be perceived as damaged goods. It’s also a time when any play challenging perceived acceptable behaviour would likely be banned. It’s possibly because of this fact that writer Harley Granville Barker never let this play be performed. Instead it sat collecting dust for over one hundred years, until Trevor Nunn was involved in its first airing, last year in Bath. It is also this fact that makes Agnes Colander such an interesting play, as a barometer of how societal norms have changed so drastically, and how the context of this play, once shocking, is now fairly normal. Where once this play might have shocked, it is now amusing. A woman delighting in being independent and making her own choices based on her own pleasures would have drawn gasps one hundred years ago; today it draws laughter instead. When one of the men points out, “it is a patent fact that woman cannot be alone” we chortle, our ancestors would no doubt have nodded agreement. Agnes Colander is a painter, but what defines her most is that she is spoiled goods. She has left her husband whom she married as an innocent seventeen-year-old. He has demanded she return to him, but instead she has run off to France with fellow artist Otto, a blunt brute of a man who is different; exciting, passionate, wild, everything her husband wasn’t. This isn’t just a love triangle though, it’s a love quadrangle. Because there is also polite and reliable Alex, friend to her former husband but who also has feelings for Agnes. Absolutely shocking isn’t it? Well, in its day it would have been, the very idea of a married woman sharing a bed with a man who wasn’t her husband. Whilst in France Agnes slowly rediscovers herself. The play’s sub-title is “An Attempt At Life” and that makes perfect sense as we witness Agnes begin to question the woman’s role, how “for generations us woman have been nurtured to give you men pleasure.” Instead she begins to think of herself first, not as a wife and partner, but as a woman seeking her own place in the world, attempting to make her own art and not imitate the art that men have made. Agnes Colander is a piece of very fine art, but what would you expect of something with Trevor Nunn’s name all over it? The acting is superb, especially from Naomi Frederick, who reprises the title character from the play’s original production in Bath. Frederick manages to portray Agnes’ growth before your eyes, as she slowly discovers not just her art, but more importantly, herself. 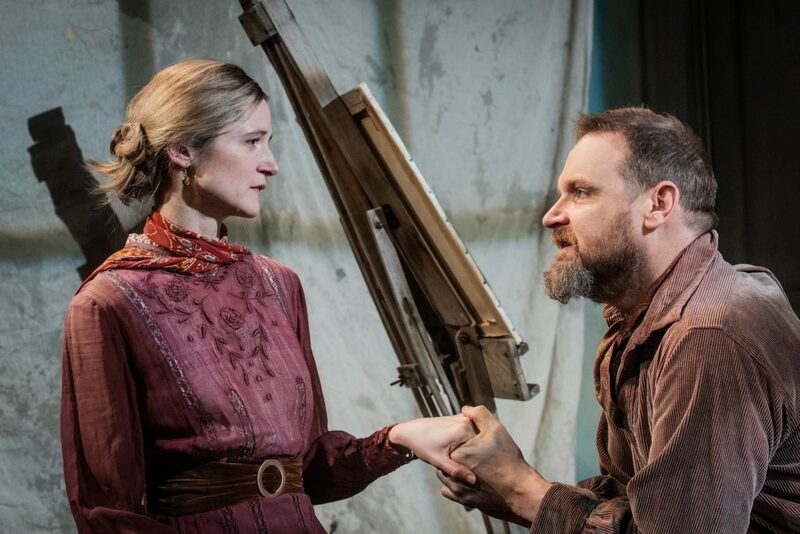 Opposite her, Matthew Flynn’s Otto is a force of nature; the very essence of what we expect of our nineteenth century painters, eccentric, wild, passionate. However, it’s not just the acting that makes this such a beautiful piece of theatre. It’s a stunningly simple yet effective set, with some fine lighting arrangements that make it a delightful spectacle. 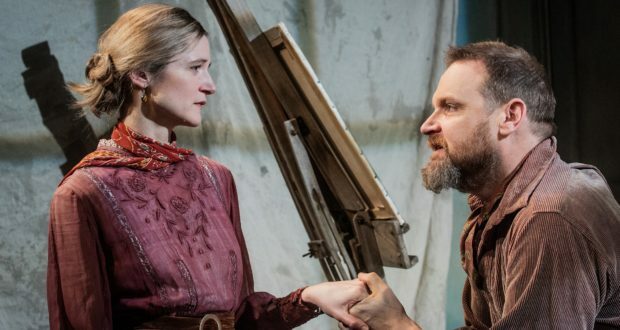 Agnes Colander is worthy of its run at Jermyn Street Theatre. It is a beautiful portrayal of time gone by, and of how woman were once treated. It may have dated in many ways but it still has a voice that deserves to be heard and not locked away for another 100 years.